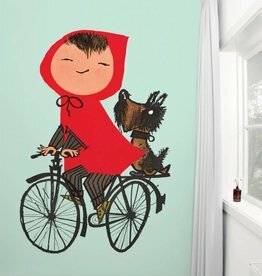 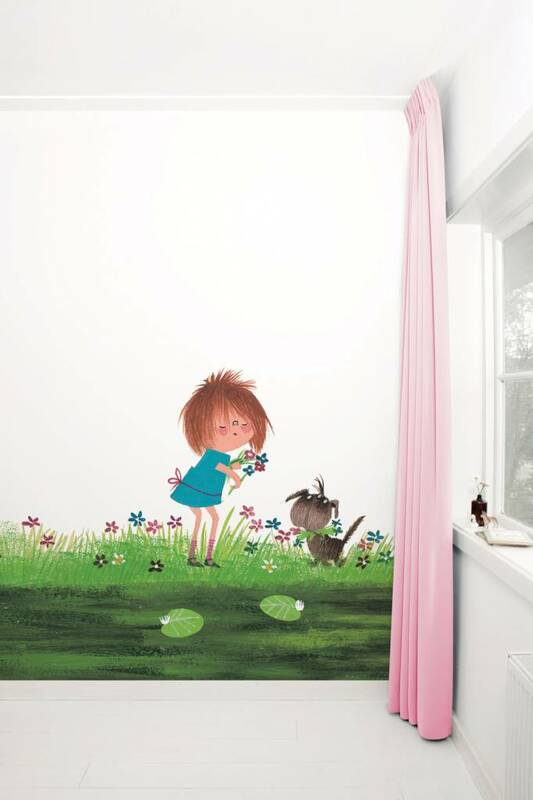 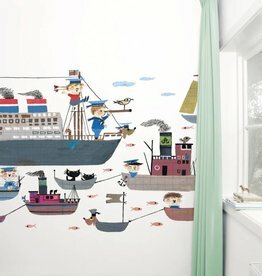 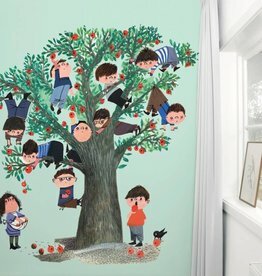 Wall-filling photo wallpaper with colourful illustration; perfect for every nursery! 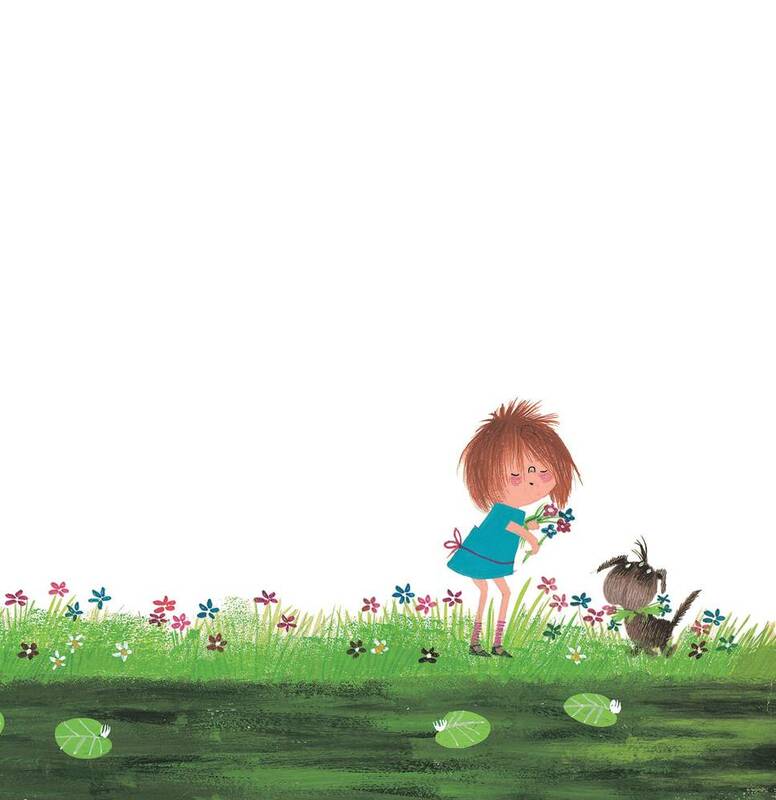 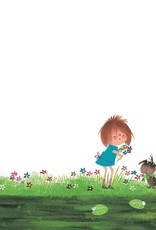 The image comes from the book 'Floddertje' or in english 'Scrumple dirty/ clean' by Annie M.G. 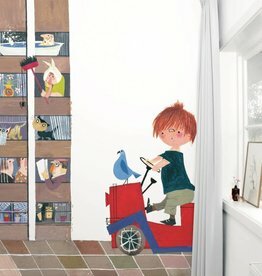 Schmidt, illustrated by Fiep Westendorp.